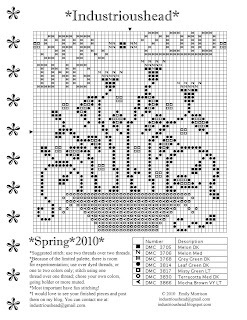 I recently created a new free chart, Spring 2010. It has a limited color palette and simple design, so it will sew up petty fast. There is a lot of room to change the basic design and use your own creativity. You could change the stitch size and use one thread over one thread, use over dyed threads, or bolder, or more muted colors, or a colored fabric. 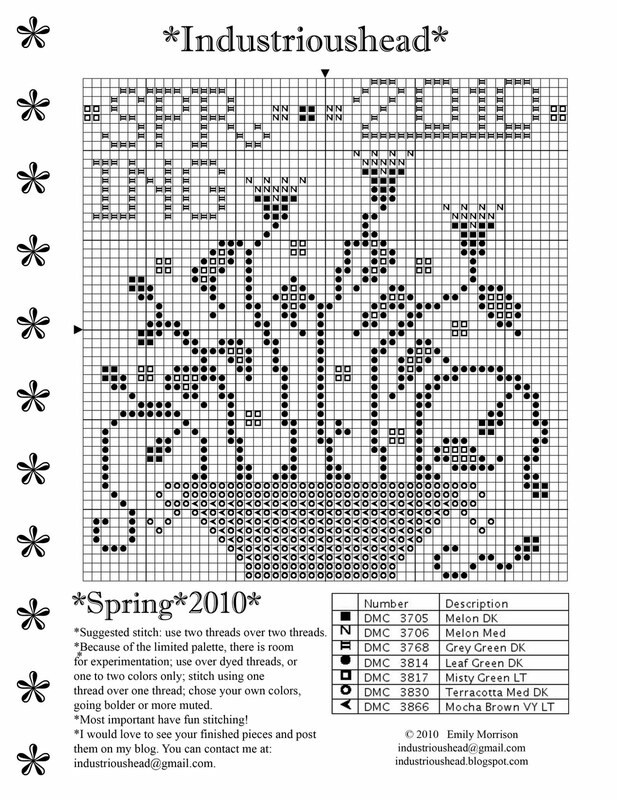 There are so many wonderful and creative stitchers out there, I would love to see what you've done. Just email your finishes and I'll post them here. Most of all have fun stitching! I can't remember if I already commented or not! I was on my way out the door and saved this chart. So if I didn't, thanks for the beautiful Spring freebie!